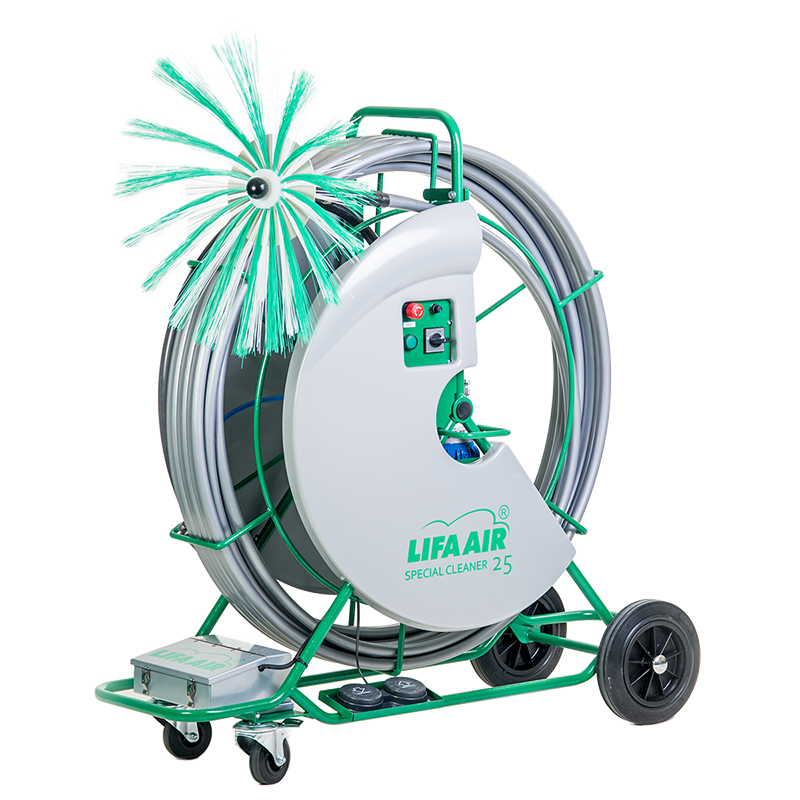 This pneumatic electric control duct cleaner comes with a 10 m (32 ft.) cable and a cleaning shaft of 25 m (81 ft.). The versatility of the SpecialCleaner 25 Multi and all-around functionality makes this a must have duct cleaner for medium-sized buildings. Frame and reel: Powder painted steel tube and sheet.